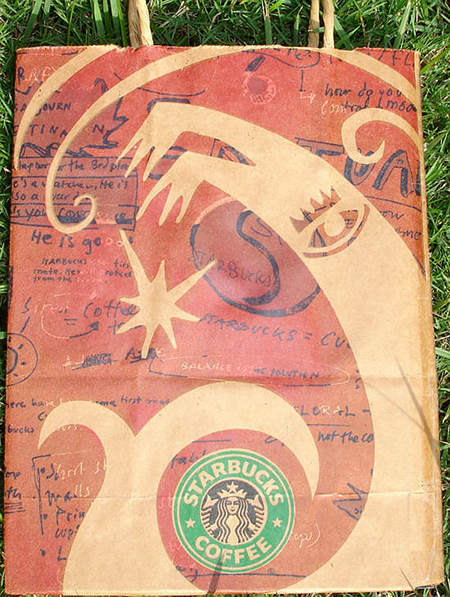 Made entirely from a Starbucks Coffee® paper bag, which I had gotten sometime in mid-2003. I liked the bag so much I had to use if for something. 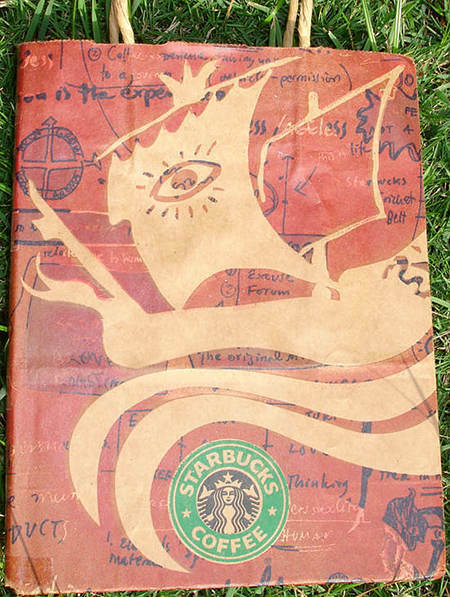 I decided to keep the handles on it to keep to the "bag" look, plus it's kinda fun to hold the notebook by the handles. I didn't laminate the covers though because I was afraid I would screw up and tear the paper. This was made in late summer 2003.